Wire rope rigging assembly with threaded stud end fittings, in a choice of 7x7 and 1x19 strand wire rope, each cable is made to measure with all components produced from marine grade stainless steel. 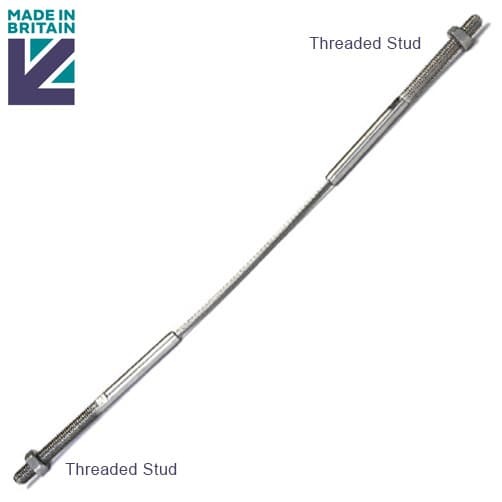 This high quality stainless steel threaded stud wire rope assembly has been engineered and manufactured in the UK. 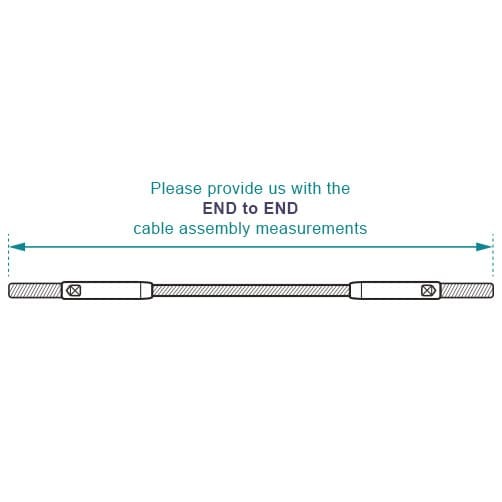 Please provide us with the end to end cable assembly measurements - remember to allow for any thread protrusion you may need for the nuts & dome nuts. 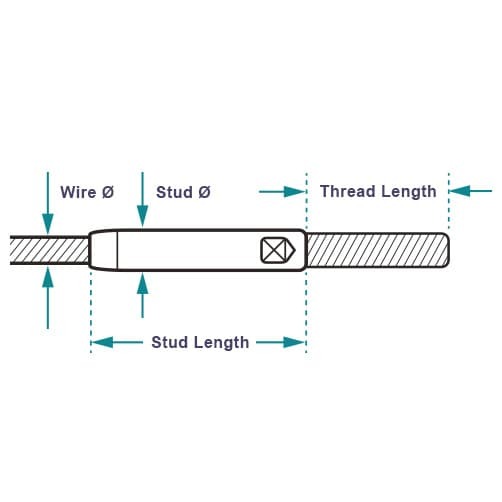 To specify the required length of this wire rope assembly, measure the distance between the outside faces in millimetres. 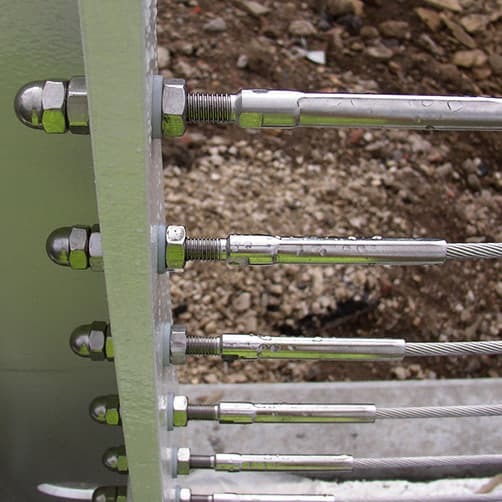 How to measure and install the threaded stud wire rope assembly. All wire rope assemblies are manufactured to achieve the safe working load of the wire type and diameter specified. A small order handled well, delivered quickly and at a very fair price. 5 stars. Excellent product. Very fast postage many thanks. Best quality materials very well assembled with very rapid turnaround from website order.. No hesitation in recommending this company or this product.